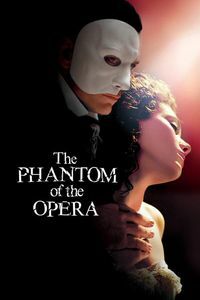 (In theaters, February 2005) Sweeping musical drama that leaves a leaden impression despite lavish sights, The Phantom Of The Opera both impresses and disappoints. Some of the staging is fabulous: the cinematography, set design and costumes are all Oscar-worthy and director Joel Schumaker has enough experience with big-budget cinematography to do justice to the romantic sweep of the piece. Add to that the enormously likable Emily Rossum as the romantic heroine and it’s hard to see where it can go wrong. But it does; after the first few songs and the showpiece tunes everyone has heard at least once (“Music of the Night”, “Masquerade” and, obviously “Phantom of the Opera”), the rest of the film blurs into an undistinguished series of maudlin ballads. From my limited musical perspective and my tin ear, some of the dubbing work is off: Emily Rossum is convincing; Gerald Butler is not. The film remains spectacular throughout, but it also gets boring really quickly. Far too long and inconsistently slavish to Andrew Lloyd Weber’s stage musical, The Phantom Of The Opera cries out for some snipping.